Planning a reunion or retreat and need some great reunion ideas? Well, you have come to the right place! Our online coupons and vacation packages make it easy and affordable for families to enjoy their time in the Smokies. Whether you are planning a family reunion, military reunion, or even a religious retreat, Pigeon Forge is the destination to have it! Our reunion service planners are here to help and make your plans come to life. Pigeon Forge is all about family, plus its Southern charm and warmth is legendary. Beautiful to behold, our city is nestled in the foothills of the Smoky Mountains with breathtaking views. 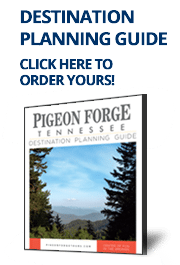 And as if that weren’t enough Pigeon Forge has great family dining, affordable accommodations, shopping, attractions – everything you could possibly want for a great reunion. Other great ways to save include vacation specials and the Fun Time Trolley where families can park and ride to all most attractions on the Parkway. We have more than 50 rides, over 200 stores to shop from, and 6 sprawling outlet malls. Not to mention we are home to the famous Dollywood.